Seoul, South Korea -- What is a key to the stem cell success of Seoul National University professor Hwang Woo-suk? Did his charismatic leadership and strong work ethic or the mastery of oriental hands wielding steel chopsticks play a role? Certainly Hwang?s around-the-clock studies and his researchers? manual dexterity have played a pivotal role in cloning the world?s first stem cell line in 2003 and first-of-its-kind customized batches in 2004. However, those are not all the factors behind the groundbreaking medical exploits of the faithful Buddhist Hwang, who has practiced the religion over the past 20 years. During an interview with the local media early this year, the 51-year-old Hwang said through his religious belief he could overcome a host of difficulties in the cloning research. ``I had tried various religions when I was young and remained an atheist until I was in my early 30s. In the mid 1980s, I visited Chondung-sa Temple by accident and became a Buddhist,?? Hwang said. At the time, Hwang made a promise with himself that he will visit the temple at Inchon?s Kangwha Island at least once a month and has kept his word over the following two decades. ``Hwang always comes here early in the morning to participate in the dawn service at 4 a.m. and bows 108 times in front of a statue. In his solemn attitude, I could recognize he is a devout believer,?? said Rev. Chonghak, vice head of Chongdung-sa Temple. After the decision, Hwang has made it a habit to rise at 4:30 a.m. and meditate roughly 40 minutes. Meditation is one of the simplest practices of Buddhism. In his office inside the Seoul National University, Buddhist sayings are ubiquitous. He also travels to the temple just before significant events as the country?s ordinary Buddhists do. In the early morning of May 14, the day Hwang left for the United States and Britain to announce the customized stem cells, he went to Chondung-sa Temple and bowed 108 times, the ritual aimed at expelling all human agonies. On top of acquiring tranquility of mind through belief in Buddhism, the power that helps Hwang tide over a raft of challenges, he could steer the direction of his cloning research via the religion. ``I am not versed in the creeds of Buddhism. But when I carry out research, I always check whether they square with the sublime spirit of the Buddha. If I am not sure, I will be unable to continue my work,?? Hwang said. Experts point out that Hwang could establish his moral principle, a must in forging ahead with stem cell research against mounting criticism from opponents like global pro-life activists. ``Considering Buddhism has placed an emphasis on the virtue of compassion, it has a long tradition of practicing medicine. I think Buddhism can make sense out of biotechnologies. The religion is the best fit Hwang could opt for,?? said Dongguk University professor Kim Yong-pyo. Kim projected that Hwang could not have achieved stem cell breakthroughs, which are expected to help cure hard-to-treat diseases like diabetes, Alzheimer?s and Parkinson?s, if he was a Catholic. ``If Hwang were a Catholic, he might not have continued stem cell studies with embryos, which many Catholics see as living beings. Then, we perhaps would not know who Hwang is now,?? Kim said. Hwang derives stem cell batches from embryos, the experiments that Catholics say is tantamount to murder. In fact, Hwang once said he had disagreements with a Catholic acquaintance that could not accept his cloning research. 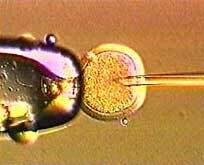 Contrary to the Catholic philosophy of regarding an embryo as life, in Hwang?s definition a fertilized egg becomes life only after it is implanted on the uterine wall. Thus embryos in this early-stage of a fertilized egg or a cloned one can be used and this idea is comports with Buddhist teachings, according to Dong-A University professor Kwak Man-youn. ``Whether Hwang recognizes it or not, his idea corresponds with that of Buddhism. The Buddha did not see an early-stage embryo as a life,?? Kwak said. He noted the Buddha categorized a fetus into eight levels as outlined in one Buddhist text, and the earliest stage of embryonic development was not included in the grouping. In February 2004, Seoul National University?s Moon Shin-yong, who co-led with Hwang the seminal feat of deriving a stem cell line from cloned embryos, mentioned more direct relations between stem cell research and Buddhism. ``Cloning is a different way of thinking about the cycle of life and re-birth. It is a Buddhist way of thinking,?? he said in the U.S. a few days later unveiling the cloning performance. He was referring to the developmental plasticity of cells, and their genomic and genetic possibilities can be understood in the context of reincarnation, a central concept in Buddhism.